Your style might be urban but you tip your hat to mother nature. 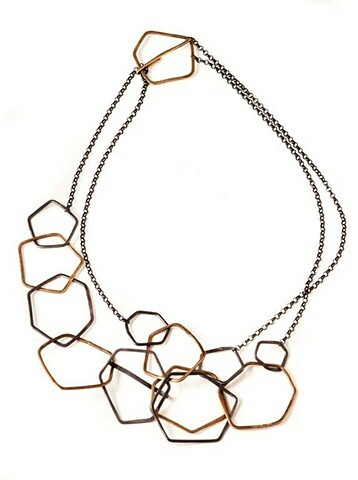 Hand-formed and hammered silver and brass hexagons & pentagons separated by a sterling silver rolo chain. Oxidized, sealed, and ready-to-wear. Can be doubled to wear as a layered choker, or worn long.